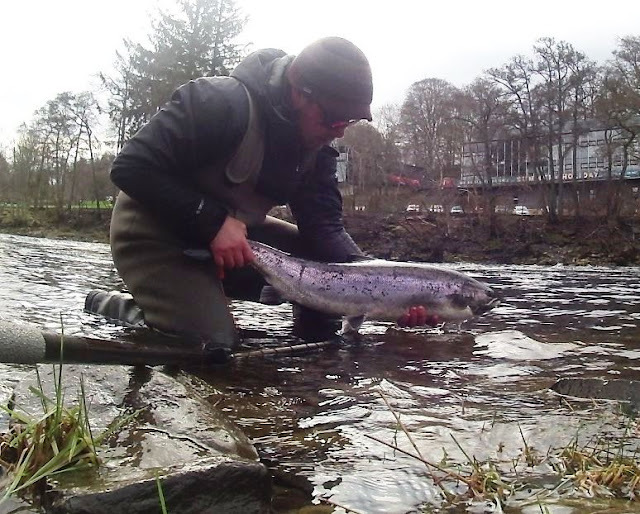 The river continues to drop back slowly and once again conditions looked excellent this morning. 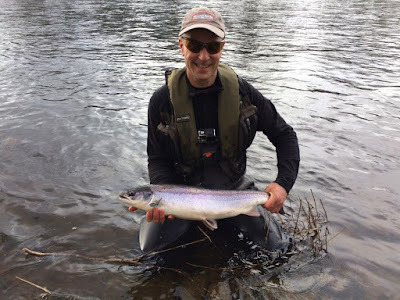 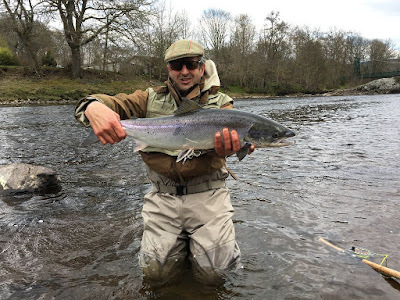 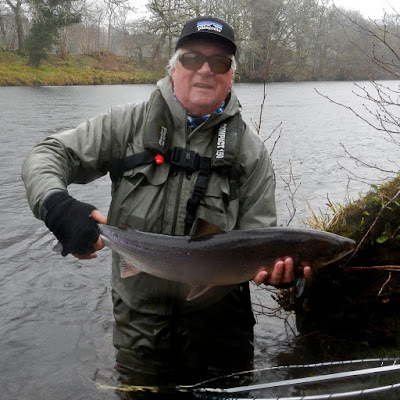 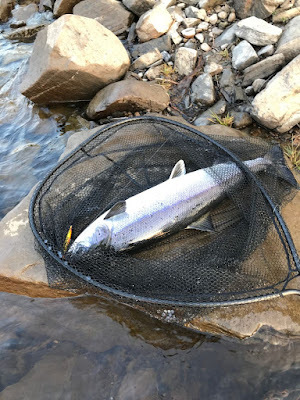 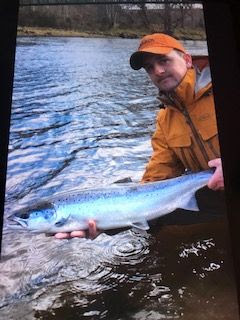 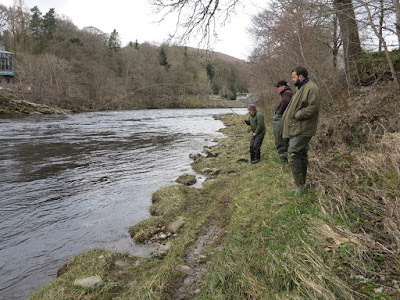 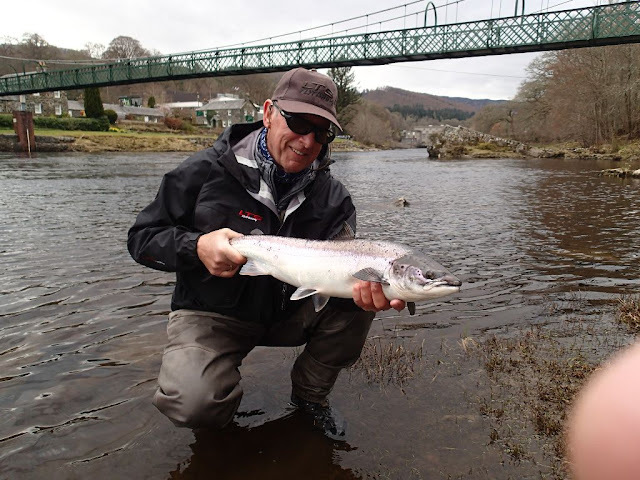 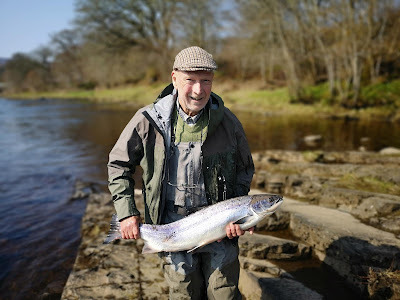 As it turned out only one fish was caught: following on from yesterday it was another outstanding fish - this time Jim Lapsley was the successful angler with a 20lber caught on the spinner on Pitlochry bank first thing this morning. 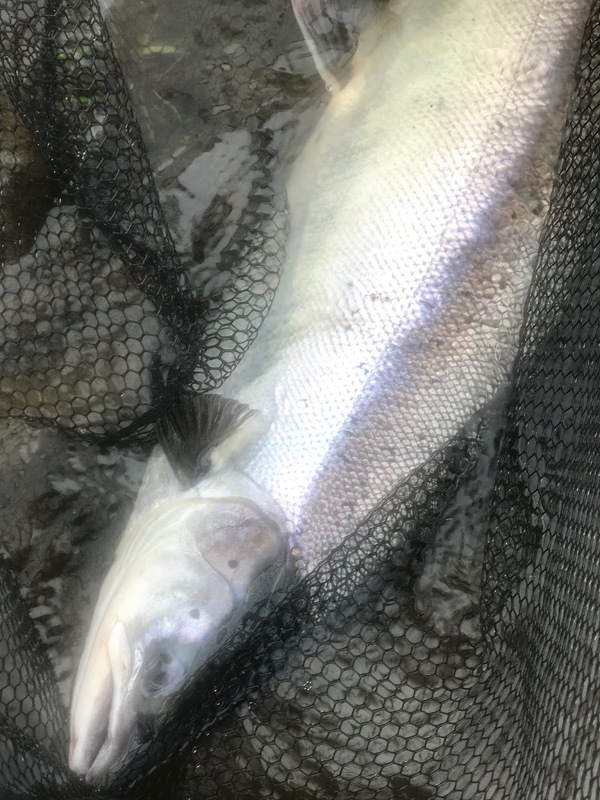 Let's see what the weekend brings.